Some of us don’t like to be reminded that we are old or getting old, but a look at the mirror will serve as an instant reminder of that. That is unless we decide to do something about and eliminate the aging signs on our face. Eye creams are manufactured to aid in eliminating the wrinkles and smoothen the skin underneath the eye. Trilane Rejuvenating Eye Cream is one such product that could help reduce aging signs. What is Trilane Rejuvenating Eye Cream? This is an age-defying eye cream that is believed to reduce the appearance of fine lines and wrinkles beneath the eyes. The cream achieves this by reducing the puffiness and dark circles around the eyes. It is designed to lift, firm, tone, and hydrate the area under the eyes. The cream’s triple action and stem cell technology might also help in protecting the skin from the signs of aging. 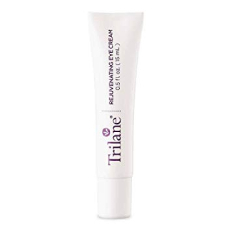 Who is the manufacturer of Trilane Rejuvenating Eye Cream? The parent company of Trilane Rejuvenating Eye Cream is Healthy Directions LLC. This is a reputable company that has been around for two and a half decades and has built a large customer base during that time. The company believes that Trilane Rejuvenating Eye Cream has been designed to reduce the signs of aging and make you look young again. They noted that the technology used is designed solely to firm and smooth out puffy-looking eyes. How does Trilane Rejuvenating Eye Cream work? Trilane Rejuvenating Eye Cream claims to be an age-defying cream that has some ingredients that reduce the fine lines and wrinkles around the eyes. It has the Buddleja davidii triple-action stem cell technology which it claims protects the delicate skin against signs of aging. The cream also makes use of an advanced peptide technology that it claims increases the firmness and smoothen your puffy looking eyes. Trilane Rejuvenating Eye Cream Ingredients- are they safe? This ingredient is the product of hydrogenation of jojoba oil and is used as an emollient. It helps keeps the sky hydrated. This ingredient is believed to have some components like verbascoside, isoverbascoside, leucosceptoside A and martinoside which have antioxidant and photoreceptive properties that protect the skin against signs of aging. The presence of amino acids and polysaccharides also aids in keeping the skin moisturized and hydrated. This is an oil that is believed to hydrate, and sooth the skin, with its moisturizing property, usually leading to a plump and soft skin. It usually aids in removing debris from deep within skin pores and follicle. This instantly smoothens wrinkles and other facial lines by forming a visco-elastic film on the skin. This reaction causes the skin to tighten and it smoothens out the fine line under the eyes. Trilane Rejuvenating Eye Cream has several other ingredients including Glycerin, Silica, Acetyl Hexapeptide-8, Sodium Hyaluronate, Tocopheryl Acetate, Retinyl Palmitate, Caffeine, Tocopherol, Sodium Acrylates Copolymer, and many more. What are the Advantages of Trilane Rejuvenating Eye Cream? It may help reduce the appearance of fine lines and wrinkles around the eyes. It may help protect the skin against visible signs of aging. It may also reduce the puffiness, dark circles, and crow’s feet that are obvious signs of aging. It may also lift and firm the areas under the eyes. What are the Disadvantages of Trilane Rejuvenating Eye Cream? Ingredients like Tocopherol and Xanthan Gum present in this product are not useful for skin care. Few reviews claim it doesn’t work maximally after initial use. The manufacturer doesn’t offer free trial for this product. How should you take Trilane Rejuvenating Eye Cream? 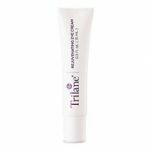 Trilane Rejuvenating Eye Cream should be taken according to the directions on the tube to achieve the maximum result. For best result, cleanse your face and gently apply the cream to the skin around the eyes. How much does Trilane Rejuvenating Eye Cream? Each tube of Trilane Rejuvenating Eye Cream cost $24.99 for a one time purchase. You can, however, save 20% by refilling and saving, which goes for $19.99. There is a discount when you order for 2 or 3 tubes, as you get to save $4 when you purchase 2 tubes and $15 when you purchase 3 tubes. What is Trilane Rejuvenating Eye Cream return policy? The company offers a return policy for Trilane Rejuvenating Eye Cream in 90 days, with 100% money back guaranteed. Does Trilane Rejuvenating Eye Cream offer a free trial? Healthy direction does not offer a free trial or sampling for this product. Trilane Rejuvenating Eye Cream is a product that might help reduce the signs of aging around your eyes. It contains ingredients that could provide you with the benefits that come with it. The ingredients are mostly focused on hydrating the skin and protecting it against signs of aging. It may also toughen the skin while eliminating the puffiness and dark circles around the eyes. However, keep in mind that not every ingredient performs the slated function. With that said, it is advisable to seek the opinions of your dermatologist before using this cream.